Sweet baby boy “P” was the tiniest baby I’ve photographed so far. He’s 1 month old and weighs in at 5lbs. He was an absolute delight and I got to try out my new bear hat on him! 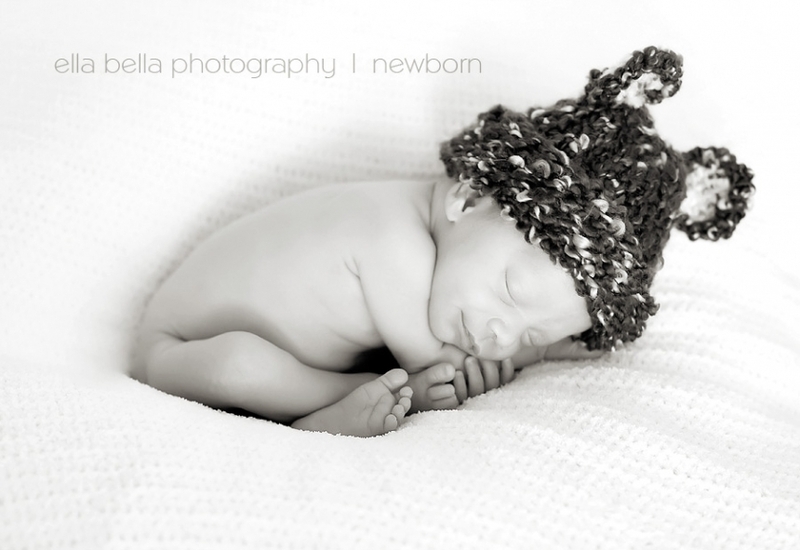 I wanted to share a few sneak peeks from his session wearing the new hat! He was so good to me, I got to try out several new props as well. Check back this weekend for a few more sneak peeks! A big thanks to my talented friend Jess W for making this adorable bear hat! I got that same hat!!! Funny. What new props did you get to use on him? So tiny. O my goodness, so precious! Great shots! Oh wow! These are precious! 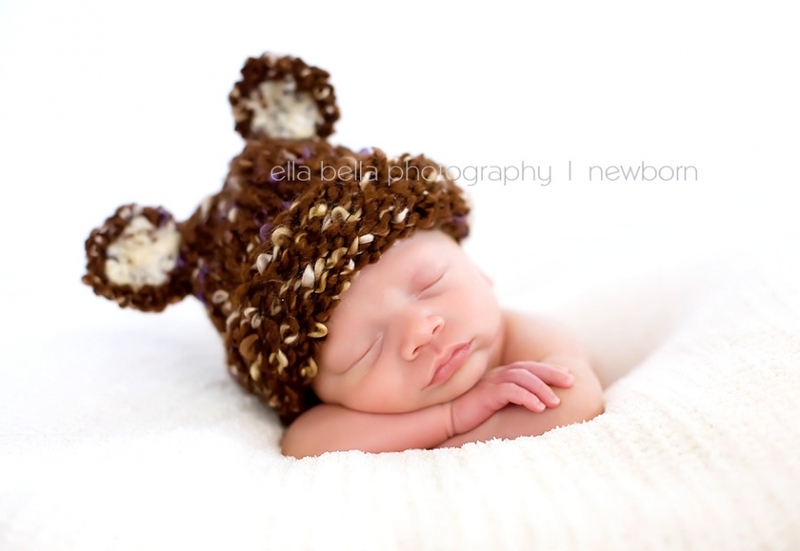 He is a beautiful little one and looks so cute and snuggly in the bear hat! Great job Elle! oh my gosh that is one of the cuttest baby photos ever! that hat is adorable where did you find it?